Dr. Evon Heaser has an approachable and warm manner that complements her deep commitment to excellence in dentistry. You will feel at ease knowing that she is truly listening to your questions and concerns. Her focus on continuing education allows her to provide up-to-date methods of achieving optimal patient comfort and oral health. She has devoted her professional life to dentistry for more than 15 years. She received her Doctorate of Dental Surgery from Marquette University School of Dentistry in Milwaukee and was given the prized Carma Laboratories Inc Carmex Award for highest proficiency in diagnosing oral skin disorders. In addition to general dentistry, she is particularly skilled in the disciplines of full mouth reconstruction and aesthetics, oral surgery, periodontal surgery and Invisalign®. 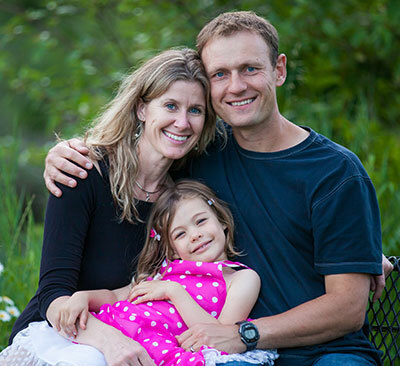 Raised in a small town in Minnesota, Dr. Evon and her family James (husband) and Olivia (daughter) chose to move to Columbia Falls because of its perfect size and ready access to activities they love like hiking, biking, kayaking, climbing, camping, photography; anything outdoors! In addition to completing several continuing education courses each year, Dr. Evon volunteers her time and expertise to provide dental screening to schools, Shepards Hand, Sealants for Smiles, and donating services through a variety of other programs.